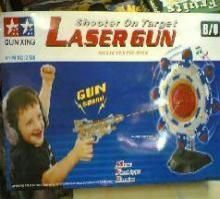 LASER GUN - SHOOT ON TARGET!!! Image is indicative only. Colour and design may vary, availability depends upon stock.